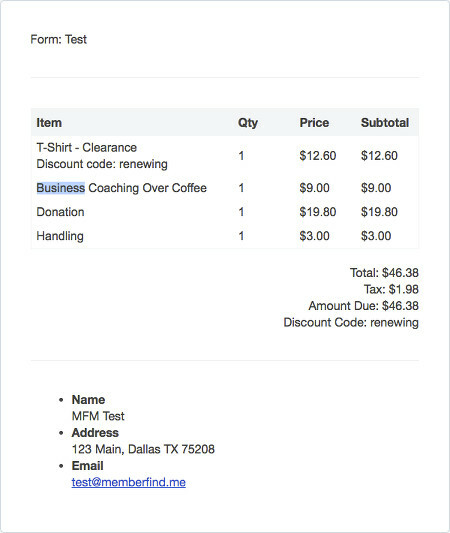 You can now use the [itemtable] tag for Forms/Carts/Donations receipt templates, to provide a table of items, quantity and prices in the email receipt for your users. For a list of tags that can be used for your receipts, please see Help > Customization > Email Templates – Forms/Carts/Donations Email Receipts. Admin email notifications have also been improved to provide more information within the email.